Edward Jones has moved to West Jordan! Come and support them at thier open house on August 15th from 6-8 pm. 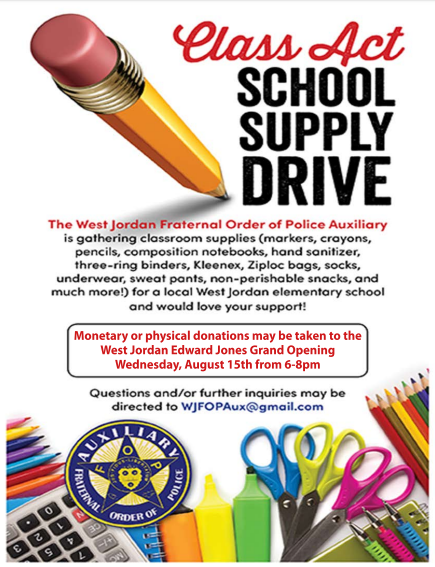 They are also helping with gathering school supplies for a local West Jordan Elementary School. Don't miss out!